Why can't I have perfect 'brows.. I'm sure i'm not the only one that has ever said that. I mean, why can't I just wake up one day with gorgeous brows like Cara Delevingne? Please? Okay, If that really did happen, i'd be a little thrown off guard when I catch first glimpse of my reflection in the mirror! I'm one of those that needs to fill in their eyebrows, I wouldn't say that I necessarily over-plucked when I was younger. I just do have thinner eyebrows. (I find this blissful in a way though, because I don't really get hairy legs either - mwahaaa). I used to use the L'Oreal Brow Artist pencil in 04 Dark Brunette. This was the perfect shade for me, but coming close to the end of the pencil, I thought it was best to look for a new one! I've tried different methods of filling in brows in the past.. pencil, eyeshadows, etc.. I think I get bored too easily of the products I use. I don't think I have a favourite so far! 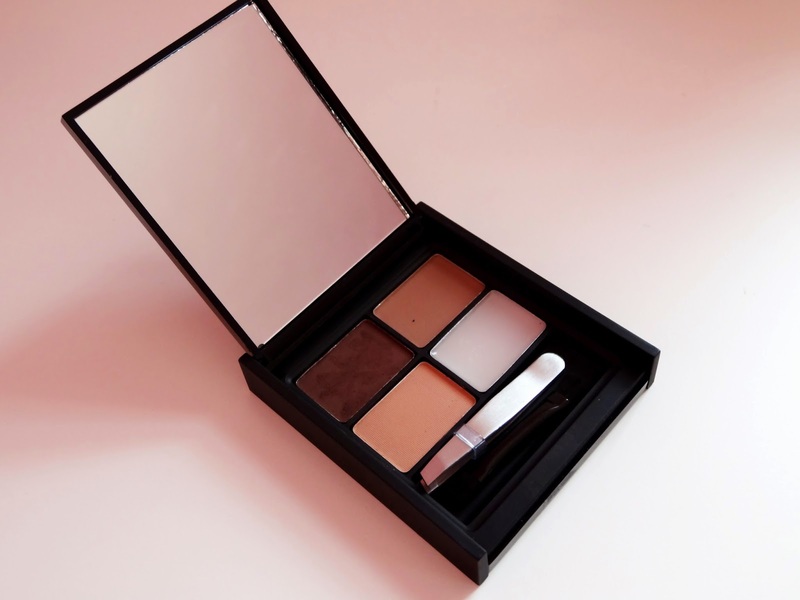 On one of my previous Superdrug MUA cosmetic counter visit's I picked up this little eyebrow kits. I'm sure you've seen a brow kit before, usually consists of different shades of brown, and a wax of some sort to keep it all in place. 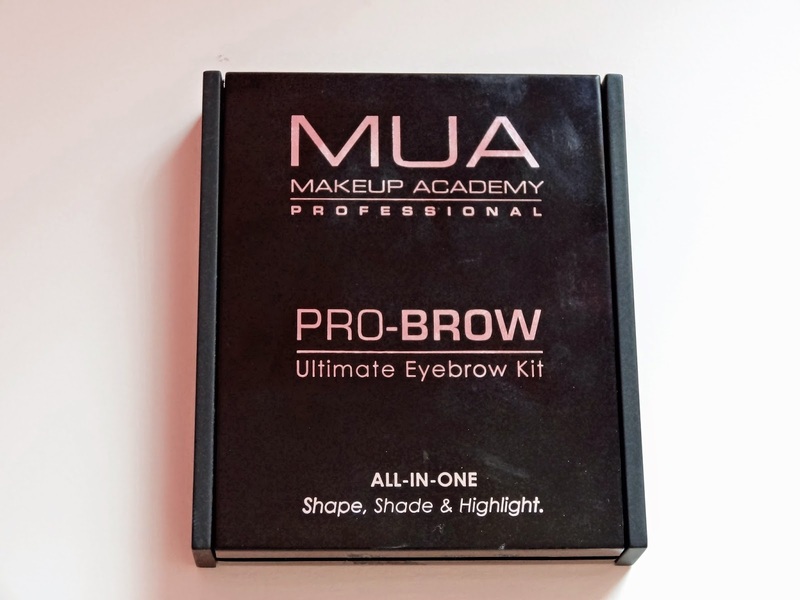 This is the Pro-Brow Ultimate Eyebrow Kit by MUA. You get a dark brown, and a medium brown shadow for filling the brows. 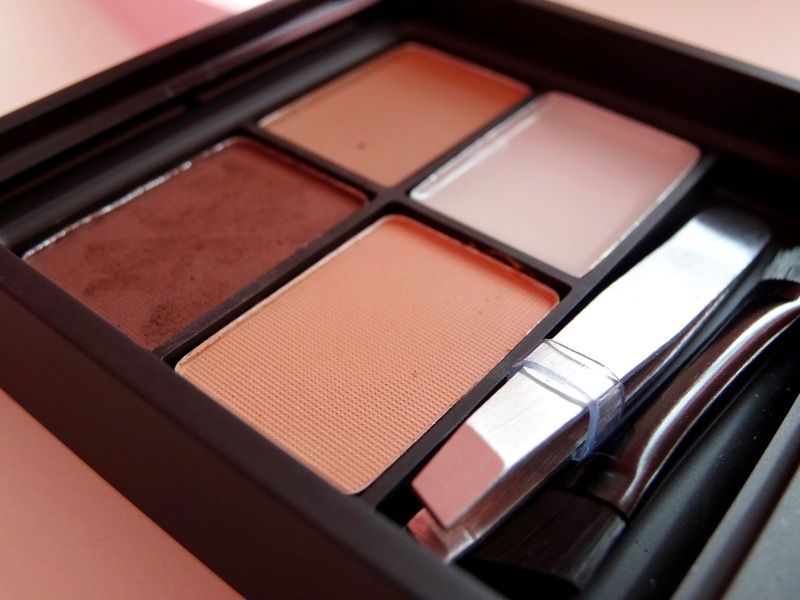 Then more of a peach-toned shadow to highlight the brow bone. I find the colour is a little too dark for me (I'm quite pale!) so I probably wont use that one at all. It's not all doom and gloom though! The price of this was only £3.50 - good value for money! I've previously been tempted by other brow kits in the past, ones from Benefit Cosmetics for example. Yet, for the price those ones are, I don't think i'd use them to its fullest potential. The packaging feels quite neat. Not too cheap, but does have a nice feel to it! Inside alongside the shadows, there is quite a big mirror - super handbag friendly if you're the kind of person who takes this kind of makeup out and about on your travels! Just to show you what else i'm currently using on my eyebrows. (I dont fill my eyebrows in thickly with the brow kit). 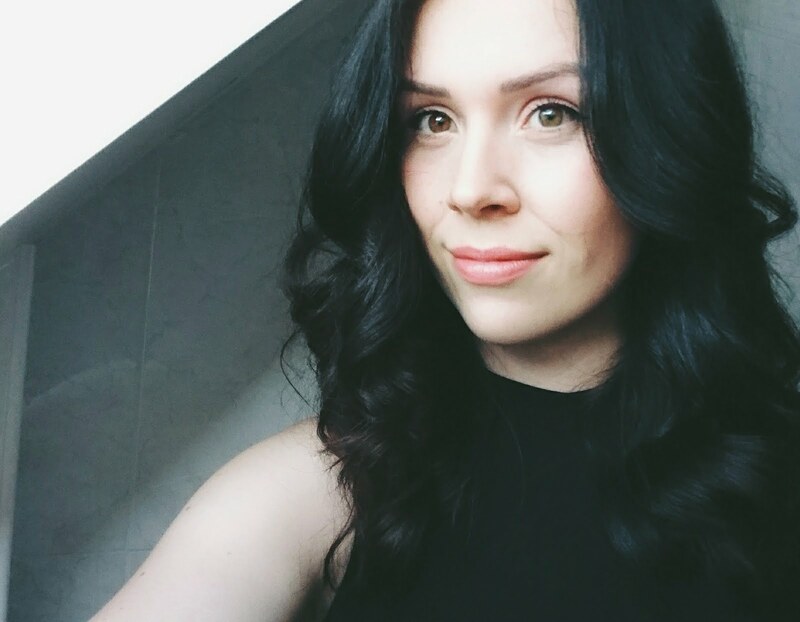 I use the Eylure Shape and Shade Pencil in the shade Dark to Medium Brunette. 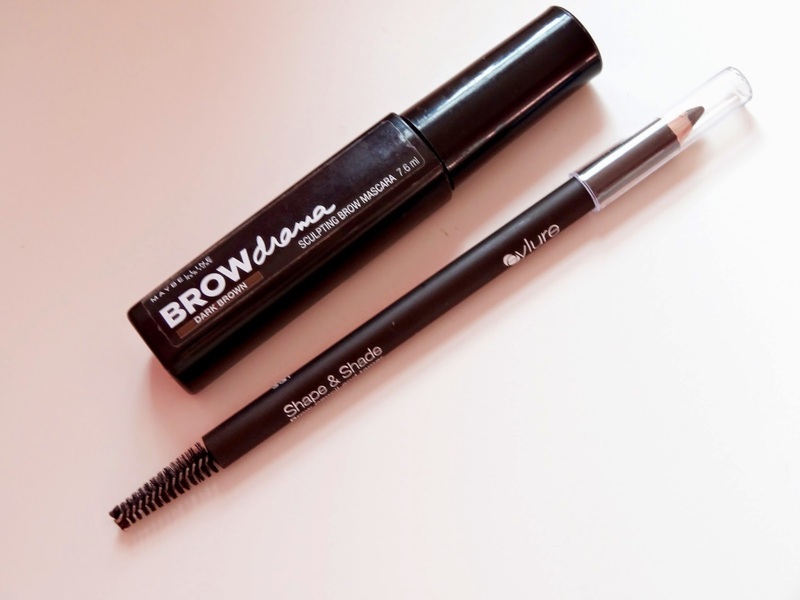 Then the Maybelline Brow Drama mascara in dark brown. My eyebrows are an absolute nightmare... I cannot step foot outside the house without filling them in and drawing shape to the,.. I'm using and only ever used the Rimmel eyebrow pencil, I used to use normal brown but no one thought to tell me how dark and ridiculous it made my eyebrows look in comparison to my hair and skin tone, so now I use 'Hazel'.